October home sales increased 2.5 percent year-over-year and kept 2017 prices ahead of 2016. The Months Supply of Inventory dropped to 3.3 – the lowest for any October in this housing report. The Median Sales Price of $224,000 increased 3.3 percent over last October and was $18,000 higher than the same month in 2015. Of the 53 metro areas surveyed in October 2017, the overall average number of home sales decreased 3.4 percent compared to September 2017 but increased 2.5 percent compared to October 2016. In October 2017, the median of all 53 metro Median Sales Prices was $224,000, down 1.1% from September 2017 but up 3.3 percent from October 2016. The average Days on Market for homes sold in October 2017 was 51, up two days from the average in September 2017, and down seven days from the October 2016 average. The number of homes for sale in October 2017 was down 6.3% from September 2017, and down 13.4% from October 2016. Based on the rate of home sales in October, the Months Supply of Inventory decreased to 3.3 from September 2017 at 3.6, compared to October 2016 at 3.9. 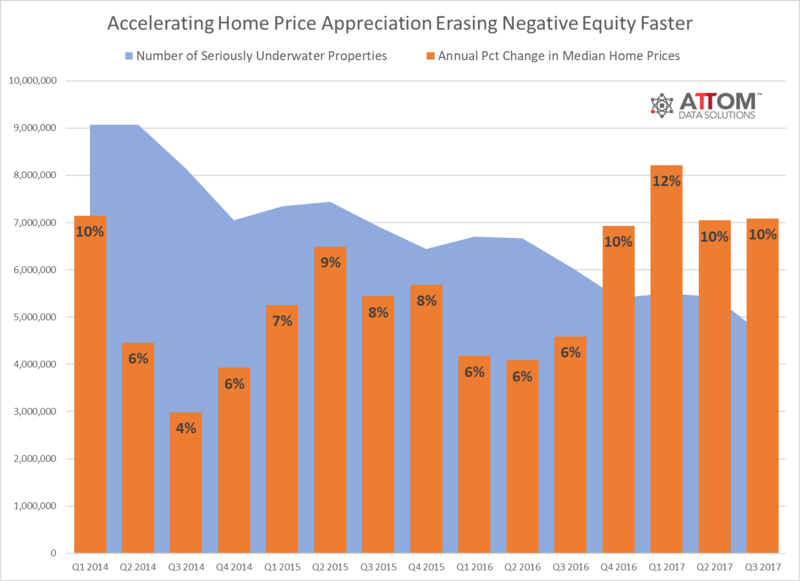 “The housing market is steady and at least somewhat predictable with record-low inventory and increasing prices in markets across the country,” said Re/Max Co-CEO Adam Contos. “With job growth and increased household formation, buyers will struggle and may even be priced out of the market until home building catches up,” he added. The national unemployment rate edged down to 4.1 percent in October and was 0.7 percentage point lower than a year earlier. Over the year, 27 states added nonfarm payroll jobs and 23 states and the District were essentially unchanged. Hawaii had the lowest unemployment rate (2.2 percent) in October, followed by North Dakota (2.5 percent). The rates in Alabama (3.6 percent), Hawaii (2.2 percent) and Texas (3.9 percent) set new series lows. Alaska had the highest jobless rate (7.2 percent). The only over-the-month rate increase occurred in North Dakota (+0.1 percentage point). Twenty-three states had unemployment rate decreases from October 2016, the largest of which occurred in declines occurred in Alabama and Tennessee (-2.5 percentage points and -2.0 points, respectively). The only over-the-year rate increases were in the District of Columbia (+0.8 percentage point) and Alaska and South Dakota (+0.6 point each). The largest increase in nonfarm employment over the month occurred in Florida (+125,300), followed by Texas (+71,500) and California (+31,700). In percentage terms, the largest increase occurred in Florida (+1.5 percent), followed by Oregon and Texas (+0.6 percent each). Three states had over-the-month decreases in nonfarm payroll employment in October: Connecticut (-6,600, or -0.4 percent), Nebraska (-6,600, or -0.6 percent), and South Dakota (-2,400, or -0.5 percent). Twenty-seven states had over-the-year increases in nonfarm payroll employment in October; the largest job gains occurred in Texas (+316,100), California (+256,800), and Florida (+197,500). The largest percentage gain occurred in Nevada (+2.8 percent), followed by Utah (+2.7 percent) and Texas (+2.6 percent). 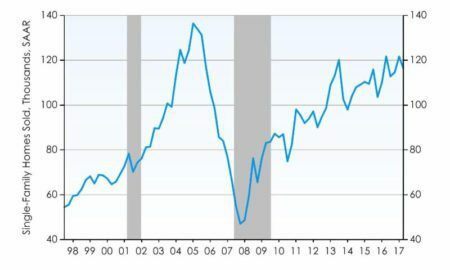 The delinquency rate for mortgage loans on one-to-four-unit residential properties increased to a seasonally adjusted rate of 4.88 percent of all loans outstanding at the end of the third quarter of 2017. 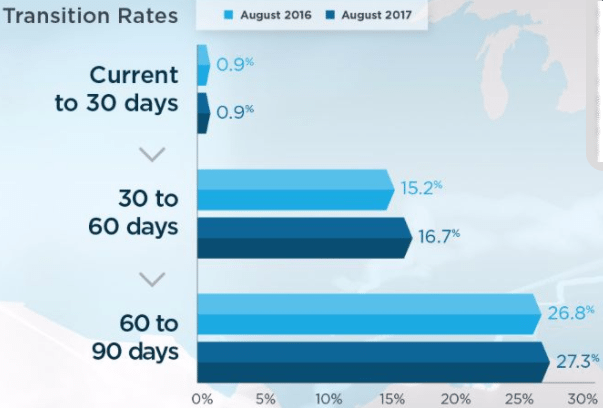 The delinquency rate was up 64 basis points from the previous quarter, and was 36 basis points higher than one year ago, according to the survey. The delinquency rate includes loans that are at least one payment past due but does not include loans in the process of foreclosure. 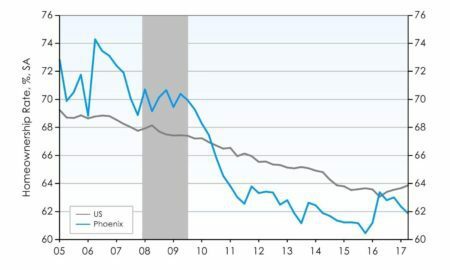 The percentage of loans in the foreclosure process at the end of the third quarter was 1.23 percent, down 6 basis points from the previous quarter and 32 basis points lower than one year ago. 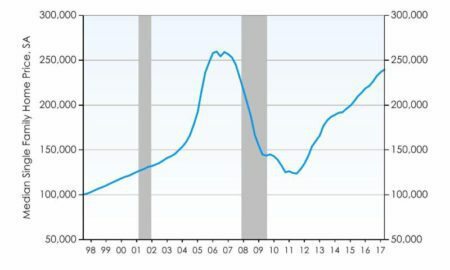 “In the third quarter of 2017, the overall delinquency rate rose by 64 basis points over the previous quarter, with the 30-day delinquency rate accounting for 50 basis points of this variance. “Hurricanes Harvey, Irma and Maria caused disruptions and destruction in numerous states. Florida, Texas, neighboring states, as well as devastated Puerto Rico, saw substantial increases in their past due rates. “While forbearance is in place for many borrowers affected by these storms, our survey asks servicers to report these loans as delinquent if the payment was not made based on the original terms of the mortgage regardless of any forbearance plans in place. and 0.9 percent (±1.6 percent) above the October 2016 rate of 1,285,000. Single-family authorizations in October were at a rate of 839,000 — 1.9 percent (±1.7 percent) above the revised September figure of 823,000. Authorizations of units in buildings with five units or more were at a rate of 416,000 in October. percent) below the October 2016 rate of 1,328,000. Single-family housing starts in October were at a rate of 877,000 — 5.3 percent (±12.1 percent) above the revised September figure of 833,000. The October rate for units in buildings with five units or more was 393,000. Privately-owned housing completions in October were at a seasonally adjusted annual rate of 1,232,000 — 12.6 percent (±12.2 percent) above the revised September estimate of 1,094,000 and is 15.5 percent (±11.7 percent) above the October 2016 rate of 1,067,000. Single-family housing completions in October were at a rate of 793,000 — 2.6 percent (±11.1 percent)* above the revised September rate of 773,000. The October rate for units in buildings with five units or more was 433,000. “The South region is quickly getting back on its feet with a big jump in new housing starts, after a pause in the prior month from the aftermath of the hurricanes,” said NAR Chief Economist Lawrence Yun. “The Midwest and the Northeast regions also made gains. Only the West region, the very region that is most in need of new supply, experienced fewer housing starts. “Overall, the total activity for the country is moving in the right path. More supply will boost future home sales. The West region, however, could experience slowing job growth as affordability conditions worsen from the ongoing inventory shortages that are driving up prices. This could ultimately force residents and potential job seekers to start looking to other parts of the country,” Yun added. 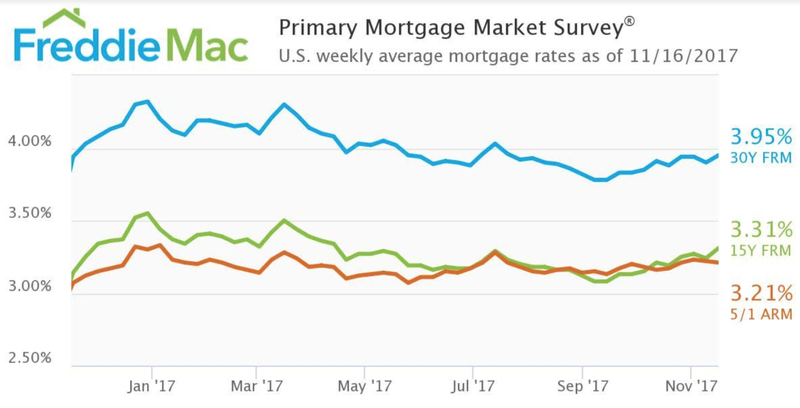 30-year fixed-rate mortgage (FRM) averaged 3.95 percent with an average 0.5 point for the week ending November 16, 2017, up from last week when it averaged 3.90 percent. A year ago at this time, the 30-year FRM averaged 3.94 percent. 15-year FRM this week averaged 3.31 percent with an average 0.5 point, up from last week when it averaged 3.24 percent. A year ago at this time, the 15-year FRM averaged 3.14 percent. 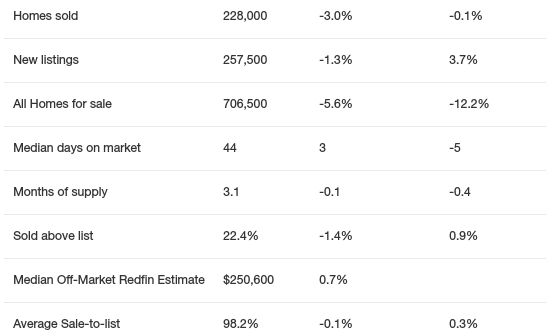 5-year Treasury-indexed hybrid adjustable-rate mortgage (ARM) averaged 3.21 percent this week with an average 0.4 point, down from last week when it averaged 3.22 percent. A year ago at this time, the 5-year ARM averaged 3.07 percent.